Hexagonal sapphire crystal without matrix. 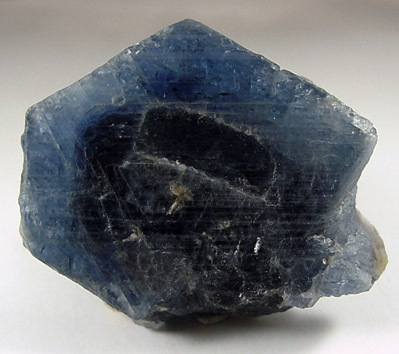 The sapphire color varies from darker gray in the core to translucent blue in the outer zones. Excellent color for the locality. Overall size of mineral specimen: 30x25x6 mm. Size of individual crystals: 30 mm.